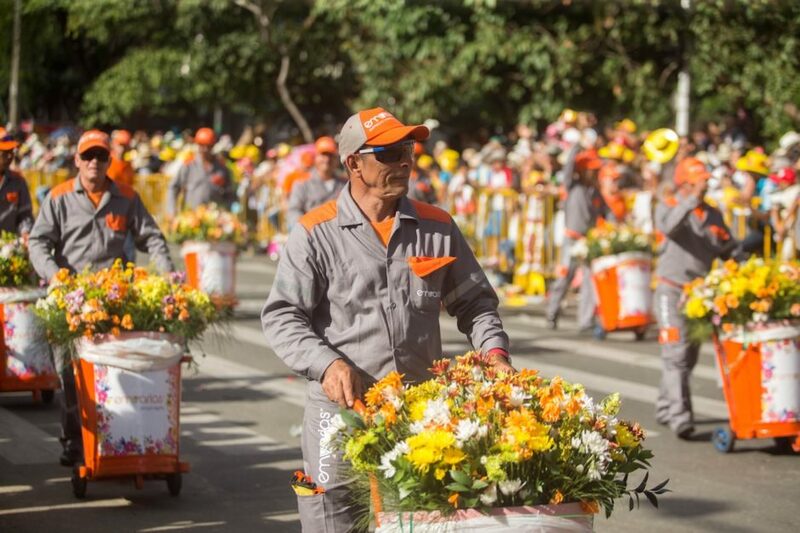 Flowers on balconies and terraces, in gardens and parks, on sidewalk café tables…Medellín blooms all year. That might be because the weather’s typically a perfect 70-75 °F (22-23 °C) no matter the season. Those north-south breezes that flow down from the surrounding mountains help keep city strolls pleasant, too. Spread across the Aburrá Valley in the Andes, Medellín has an incredible skyline dotted with skyscrapers, grand colonial buildings, and colorful homes. And it looks extra good when you’re zipping over the scene in a cable car. Unlike expensive, touristy tramways in other cities, the Metrocable is a regular part of the city’s public transport system. So while you’re cruising up high, you’ll be rubbing shoulders with locals heading home after work, from the shops and restaurants…or — if it’s the L line — on their way to beautiful Arví Park to hang out around Lake Guarne. 3. 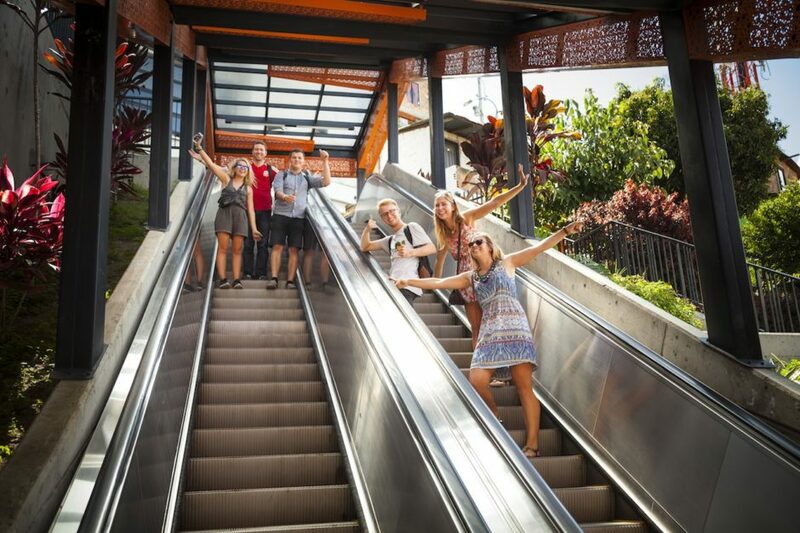 …and its outdoor escalators save locals from a 327-step commute. 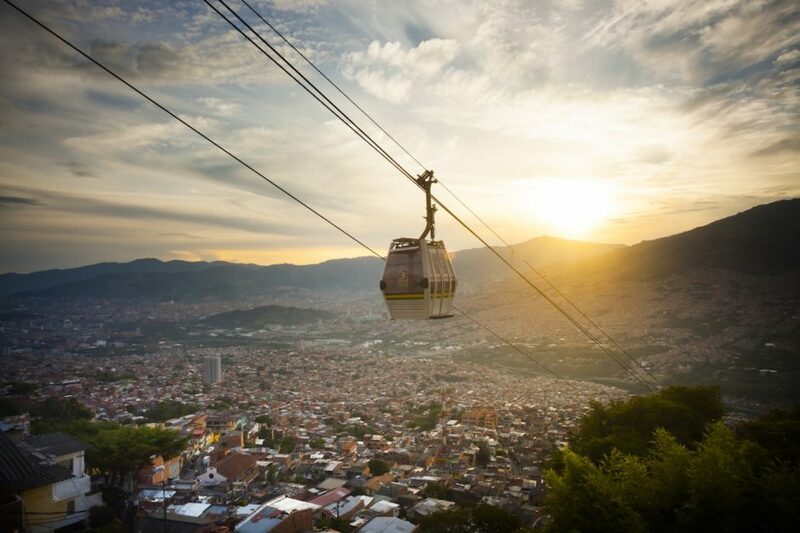 City planners have a problem in Medellín: Getting public transport to the steepest corners of a metropolis surrounded by mountains isn’t easy. Enter the outdoor escalator. Scaling the equivalent of 28 stories in the Comuna 13 neighborhood, the journey takes six minutes, and the views get increasingly impressive as you glide up the hill. 4. It’s one of the most innovative cities on the planet. 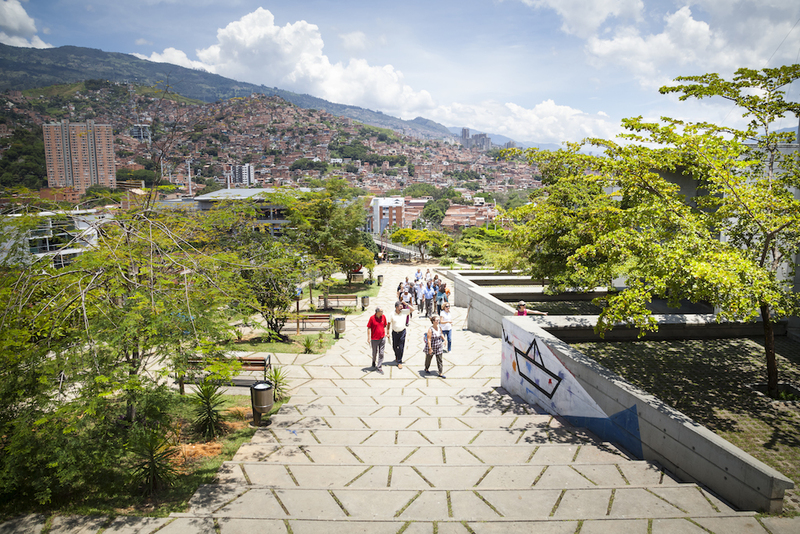 Following a popular vote in 2013, the Urban Land Institute awarded Medellín the Innovative City of the Year award. Those famous tramways and outdoor escalators were deservedly praised, as were the city’s world-class art galleries, libraries, and public spaces. Later, in 2016, Medellín won the Lee Kuan Yew World City Prize, a sort of “urbanism nobel prize” granted because of Medellín’s transformation into an outstanding liveable city. 5. 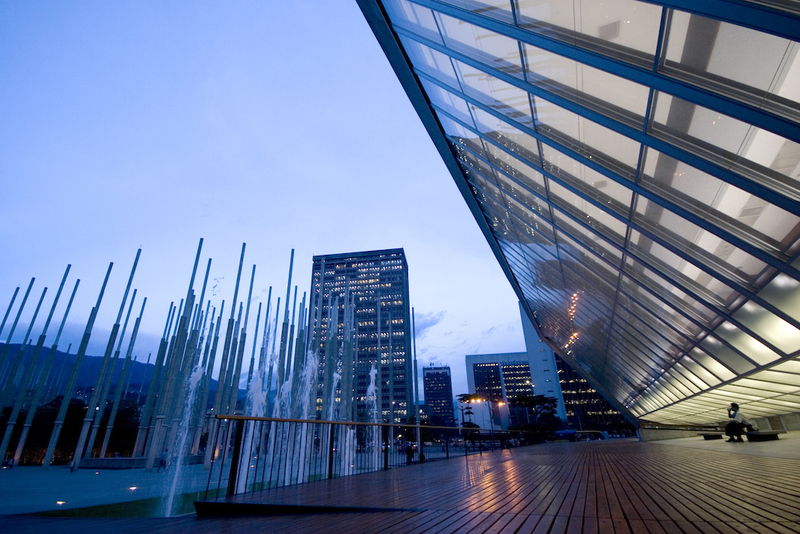 One of the best-known artists in the world is from Medellín. Born in 1932, Fernando Botero attended a matador school in Medellín before deciding a career in the arts might be preferable to the bull ring. These days the artist lives mostly in Paris, but he’s still a Colombian at heart, and he’s donated dozens of his pieces to his home country. 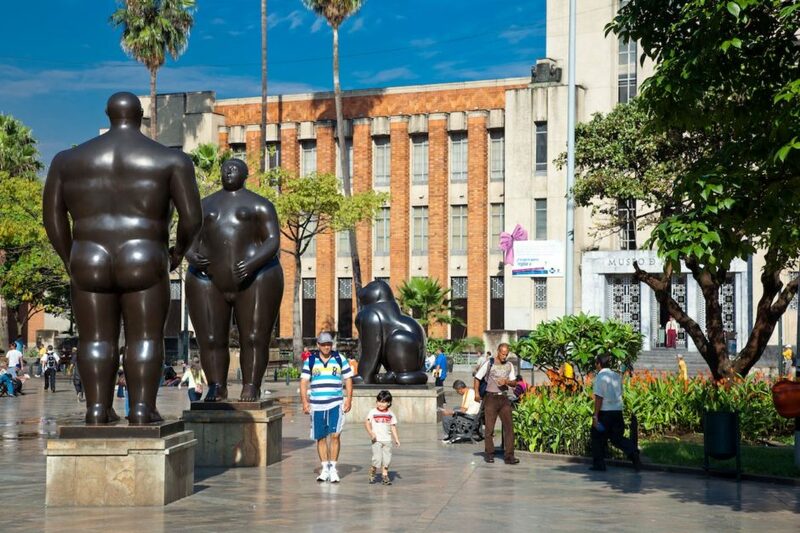 Head to Botero Plaza, just outside the Museum of Antioquia in the Old Quarter, where 23 of his surreally proportioned bronze statues are just asking to be Instagrammed. 6. The city’s also famous for its street art. 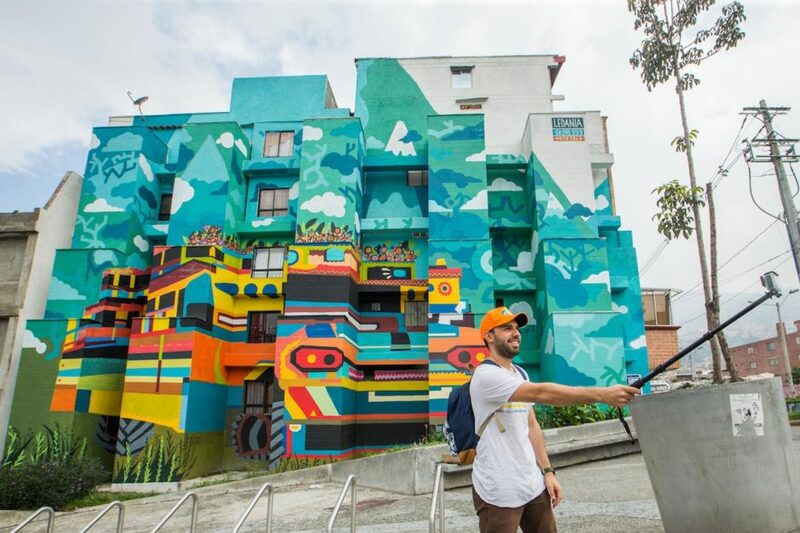 That’s especially true of the Comuna 13 neighborhood, where you can join a street art tour guided by local hip-hop artists responsible for some of the colorful murals. 7. There’s a whole festival dedicated to flowers. 8. The city hosts one of the biggest fashion events in South America. Over a century ago, Coltejer — which today is the biggest textile company in Latin America — was launched here…you could say fashion is in the city’s blood. Maybe that’s why Medellín hosts the giant fashion conference Colombiamoda every year. It features hundreds of brands and dozens of runway shows, and there’s also a famous contest for South America’s most promising fashion design students. 9. There’s a huge nature reserve right on the outskirts. The Arvi Park, declared “National Forest Reserve” in 1970, is a green area accessible by Metrocable. You can move around the park by walking, cycling or horseback-riding, and there are places to have a wonderful picnic and forget about the city buzz. Within the park boundaries, there are over 72 species of butterflies, 69 species of birds, and 19 species of mammals. And you can also learn about the culture of Eastern Antioquia here! If you are willing to go eighteen miles from Medellín, you will also find the Alto de San Miguel Ecological Reserve. The reserve is home to an incredible 16% of Colombian biodiversity, including 220 bird species. 10. People in Medellín eat arepas and red beans all the time…even for breakfast. Chorizo, ground beef, fried plantain, chicharrones, rice, red beans, avocado, hogao tomato and onion sauce, arepa cornbread, a fried egg… The typical bandeja Paisa might seem like a huge meal for only one person, but you’ll definitely end up with this plate in front of you at least once when visiting Medellín. And it’s not the only dish where arepas and red beans are the stars of the show. 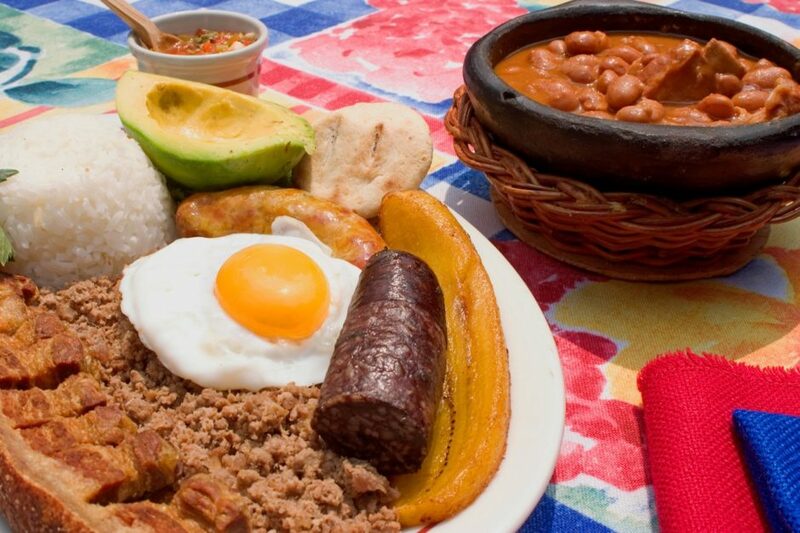 A typical breakfast in Antioquia consists of calentado — a mix of red beans, rice, and hogao — accompanied by the ever-present arepas Antioqueñas. 11. Fondas Paisas take traditional food to another level. 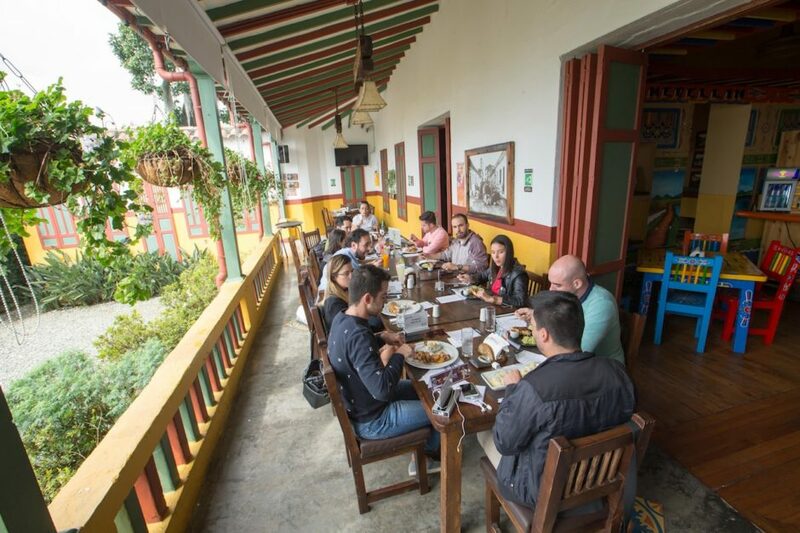 You can experience Antioquia culture in fondas (traditional restaurants) throughout Medellín. Sit down at one of the wooden tables and you’ll notice all sorts of curious objects on the walls, including funny local sayings. As your waiter serves your bandeja Paisa, you might also notice his leather carriel satchel, poncho, and sombrero. Tourist trap? Not at all. The characteristic loveliness of Paisas, as the locals are known, means Medellín fondas are nothing but charming. This post is proudly produced in partnership with Medellín Travel. Check out the Official Travel guide of Medellín for more.